"When Detective Conan Meet's Battle Royale"
Despair, lots of despair!! 15 or 16 (I don’t remember ;)) top students are locked in a school! Then they are given a choice, to live forever in the school or to kill one of the classmates without anyone to find out and gain freedom! If you, as me like of the genre presented in movies like Battle Royale and the Cube you will not regret to see this anime! 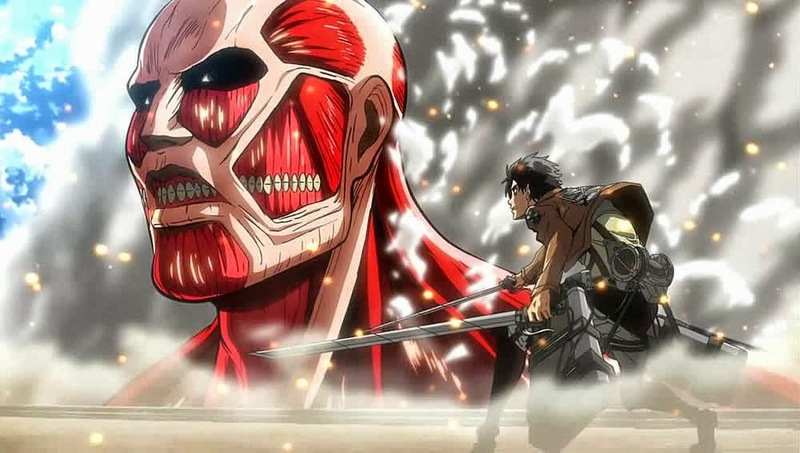 Well, I like review the opening from the animes, they are always a big factor for me, I mean with a good op. I probably will watch the anime even if the plot is bad. 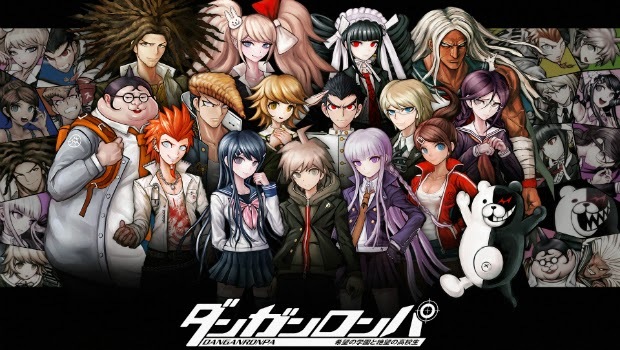 Except in Danganropa case, I was captive by the story, the characters, the thrill of the murderings and the trials, that compensate the fact they only launch a stable opening after 5 or 6 episodes. I Despair a little until they have the opening stabilized. This anime to me, provokes a little of reverse feeling, because the ending song for me was one of the bests ever, I generally don’t hear the anime endings after ep.1, but this ending have receive the right to be presented in video, in this review! To end the soundtrack analysis, I need to refer that the opening with the Monobearsong was pretty low and a cheap try to collect dividends of the Monobear voice be also the Doraemon voice!
" The evil side of Doraemon"
PuPuPu, well, finally a show I can enjoy, lots of characters, lots of side story, friendship, conspiracy and backstabbing this anime has it all! Week after week, I wanted to watch the next show, the next murder the thrill to guess (and generally to fail :P), the next to die, the next trial, to think the evidences and the super duper executions animations in a awesome and different style! Danganropa, obviously could it be a little better, they have a full set of rules, that could have presented in a Death Note style! And with a little work the trial's animations sequences could be improved. Don't read bellow if you didn't the full Danganronpa season!!! This anime ended with a promise of something more, sincerely I would prefered, an couple of more episodes. I don’t think, that are enough material for a second season, but I think, we could wait probability for an OVA. Why are you reading this? Go watch Danganronpa: Trigger Happy Havoc.